Kuala Lumpur based mens bespoke designer, Jeremy Tok was in town last week to share his expertise and knowledge on menswear. 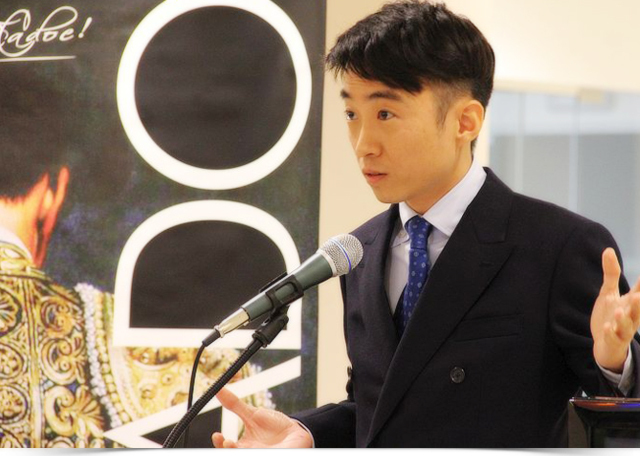 The event was held at Matadoe Bistro Boutique in Airport Mall and was organised by Baiduri Bank for their Baiduri Prestige and Baiduri Smart Executive customers. 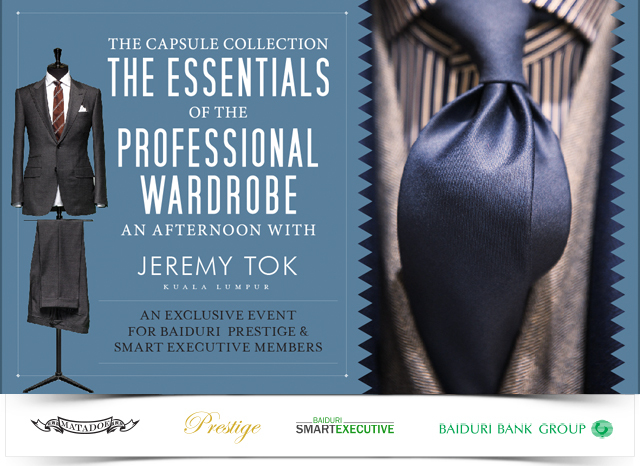 The event was titled 'The Capsule Collection, The essentials of the Professional Wardrobe'. Jeremy shared his tips to the audience on the best choices to make for menswear and emphasized the importance of looking good and dressing appropriately for certain occasions whether in a private or professional setting. In addition to that, he shared some tips on choosing the best wear that could fit for multiple purposes. Jeremy Tok is not new to Brunei, he have been serving clients from various society level and has been delivering bespoke menswear in Brunei since 2012 and has been known to deliver high quality workmanship in bespoke mens shirt and suit. For anyone who wishes to get a bespoke suit or shirts tailored, they can do so by contacting Matadoe for any enquiry, appointment or order and to set an appointment for Jeremy's next visit. "Pale blue is a colour that works well in a smart or casual setting. You can put it on with a full suit to go for a professional look or pair it with blue jeans for that casual look,'' he said. After the short briefing, Jeremy also answered queries from the audience who asked for his advice on the appropriate clothing to wear for various settings. Refreshments were then served and all the guests were treated to door gifts by Matadoe. 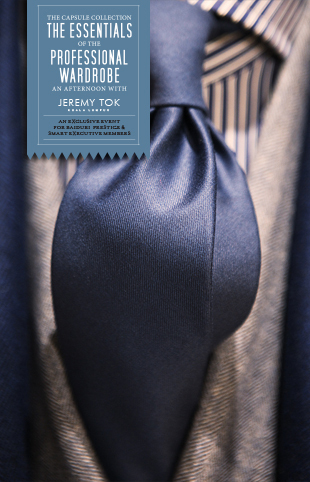 Jeremy Tok sharing his knowledge and expertise on bespoke menswear.